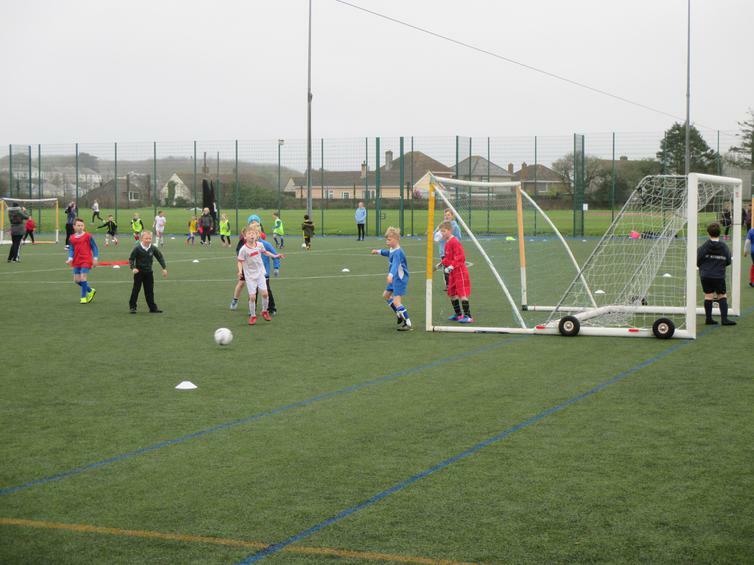 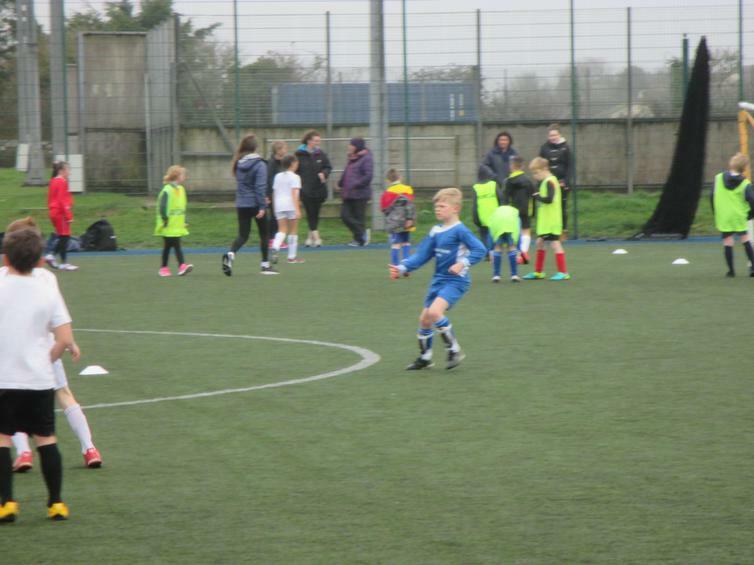 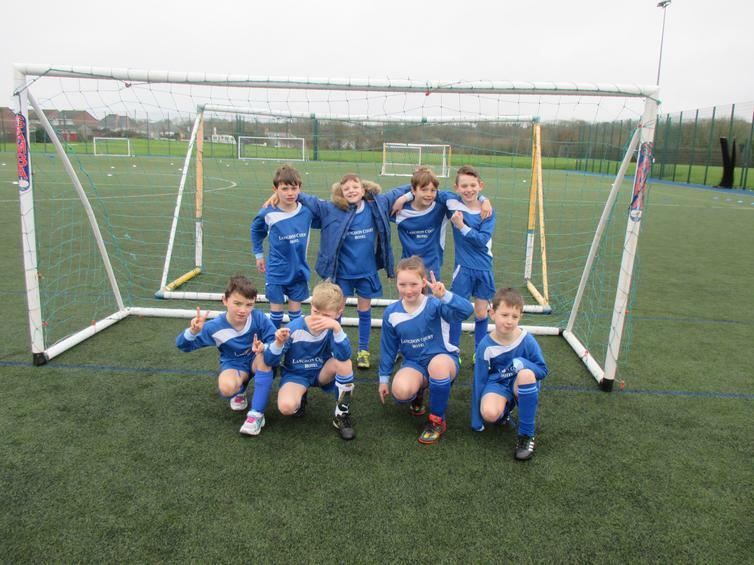 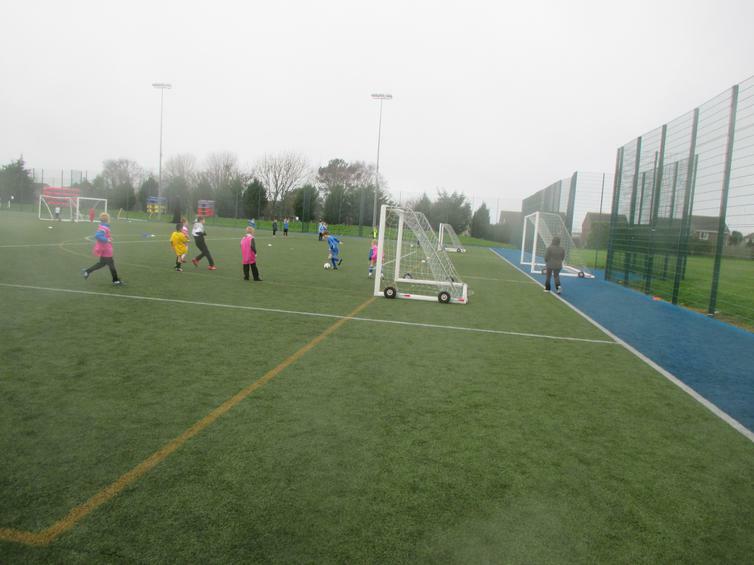 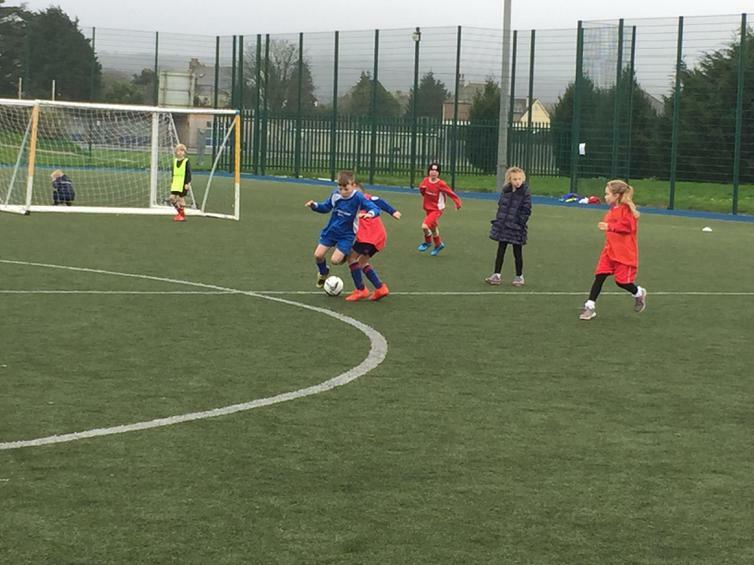 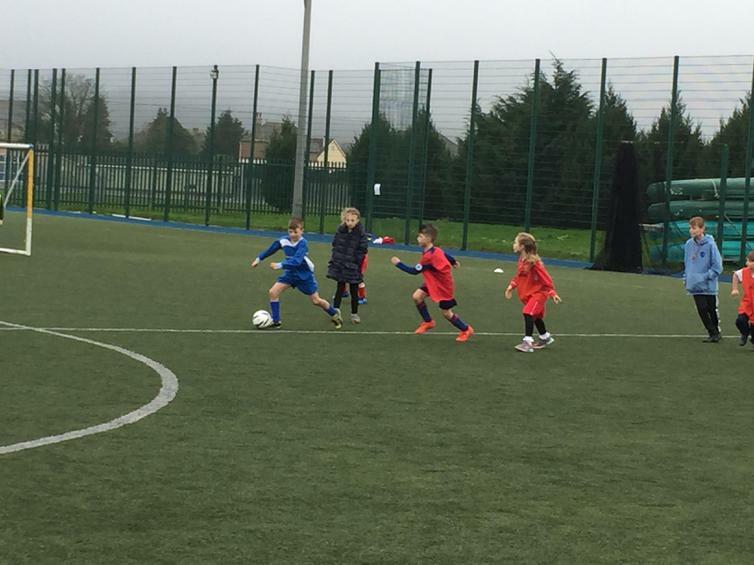 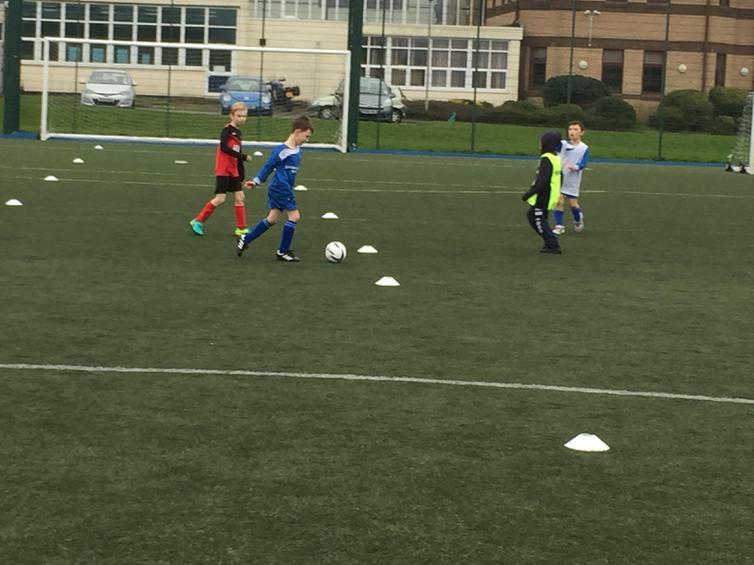 A fantastic morning of football this morning, this time it was the turn of our year 3 & 4 footballers to join forces with other budding stars from surrounding Plymouth schools. 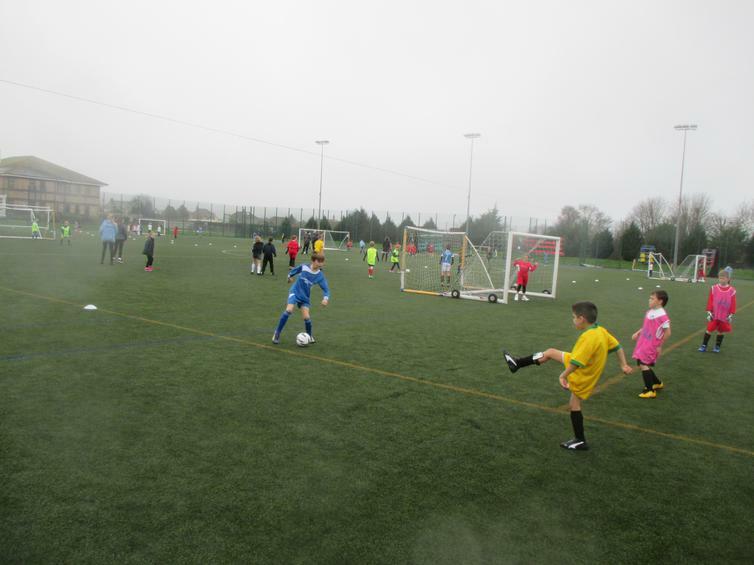 The children were mixed up into 12 different teams and played 2 full hours of non stop games against eachother. 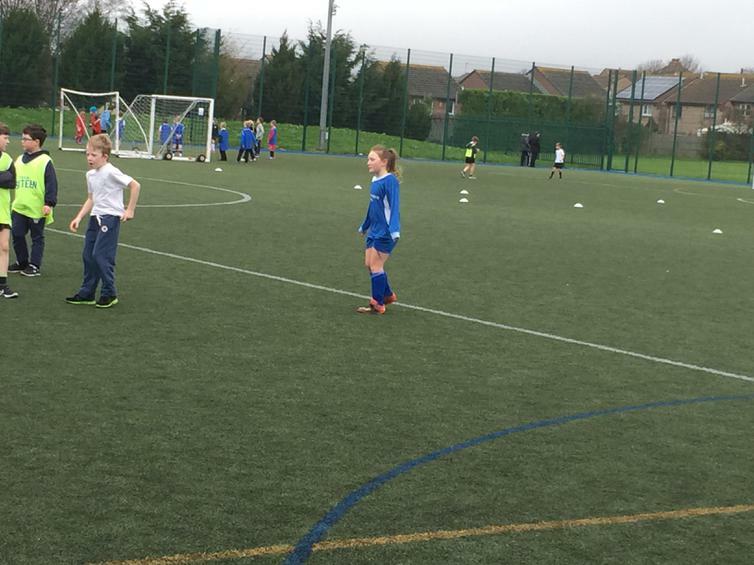 This gave them an opportunity to learn how to form a team and make new friends, figuring out eachother's strengths and working together - a very useful learning experience for all involved. 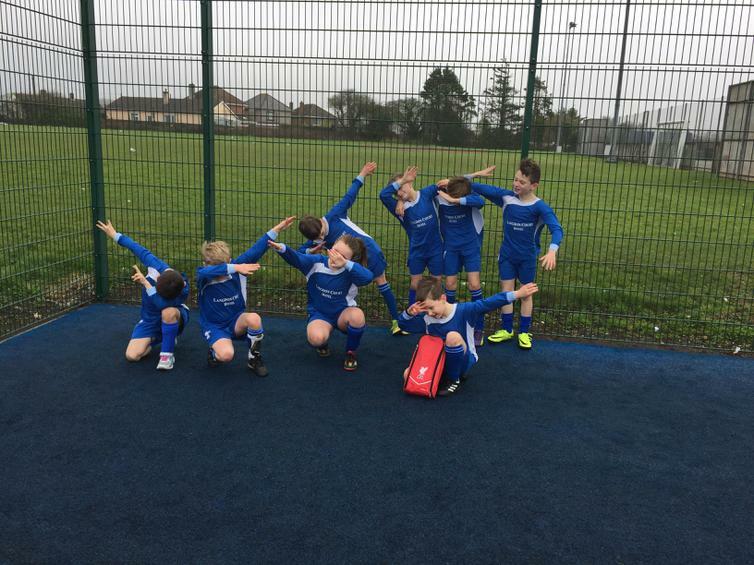 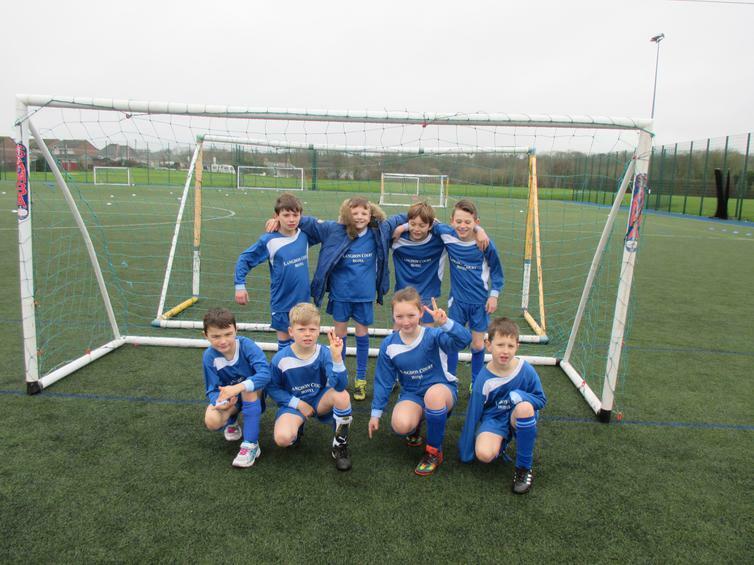 The drizzley rain and chilly winds did nothing to dull the Wembury spirits as they rose to the challenge and gave it their all. 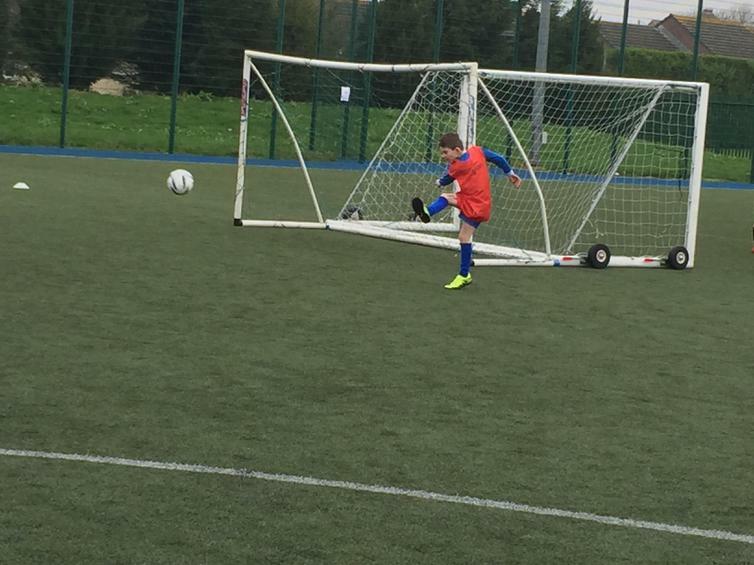 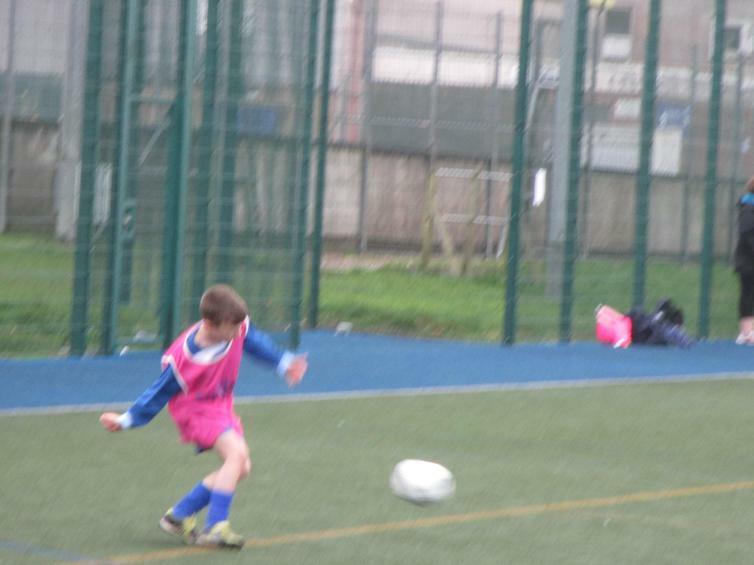 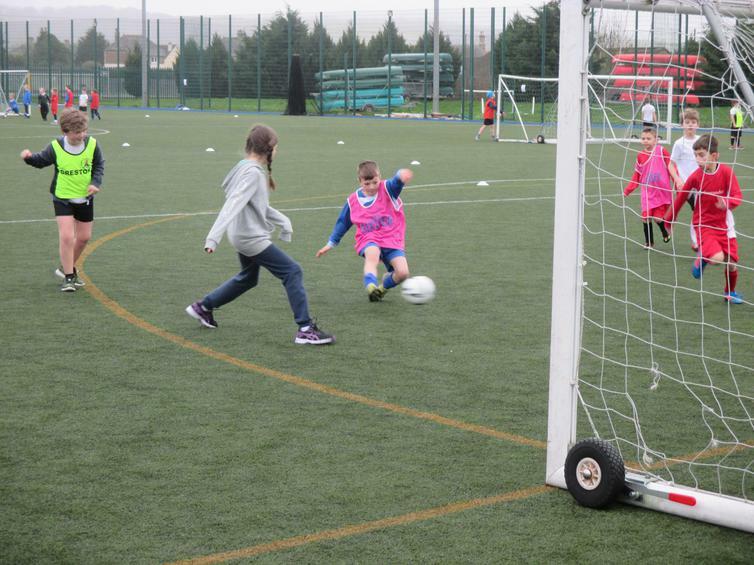 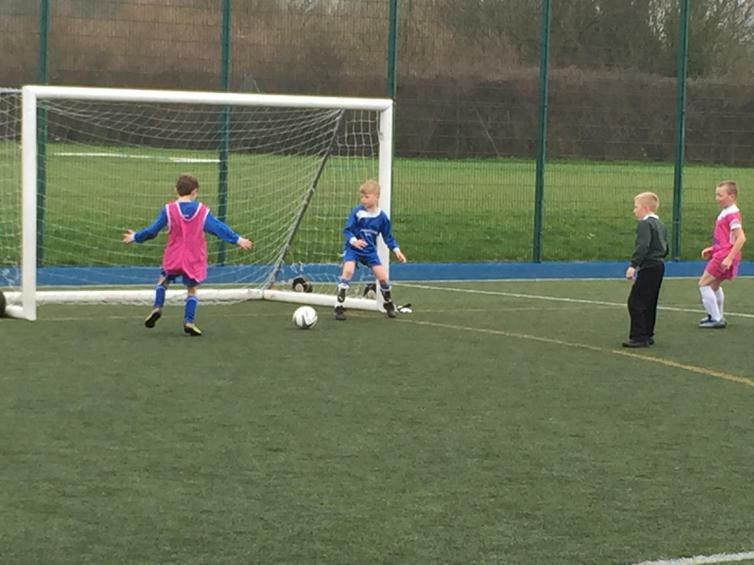 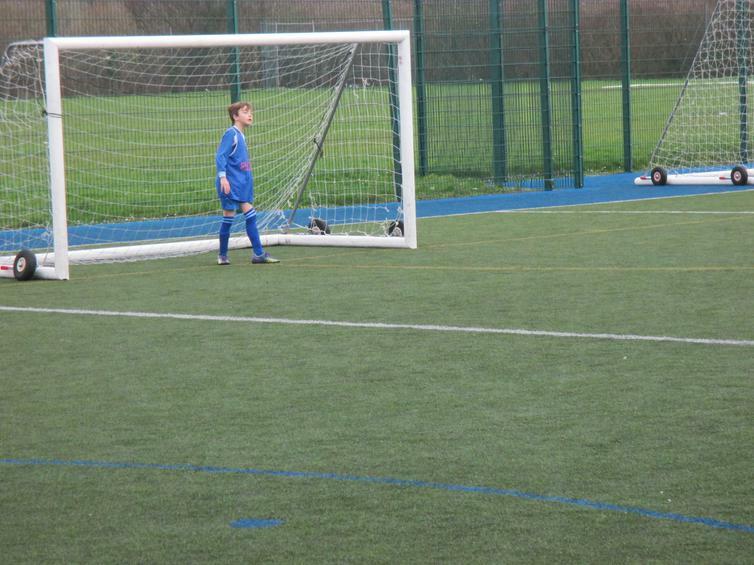 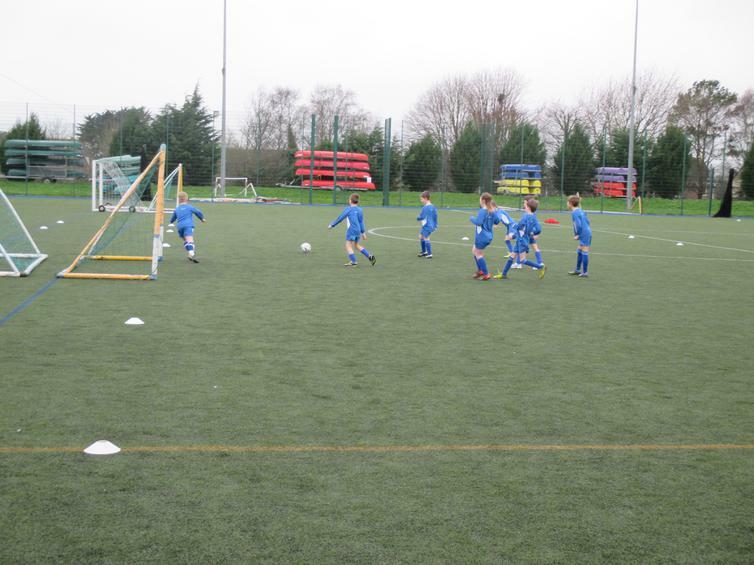 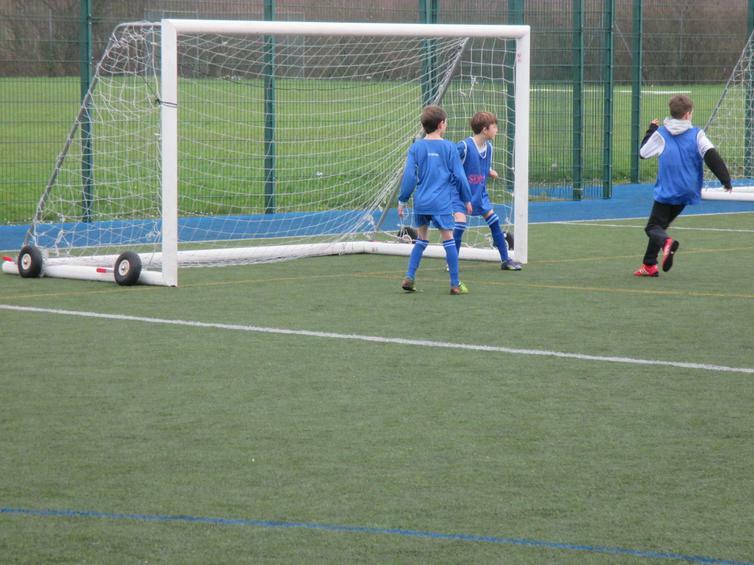 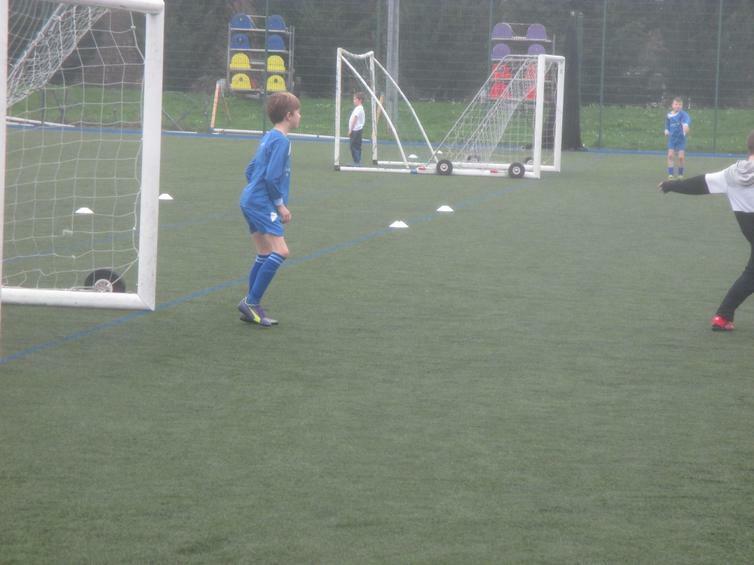 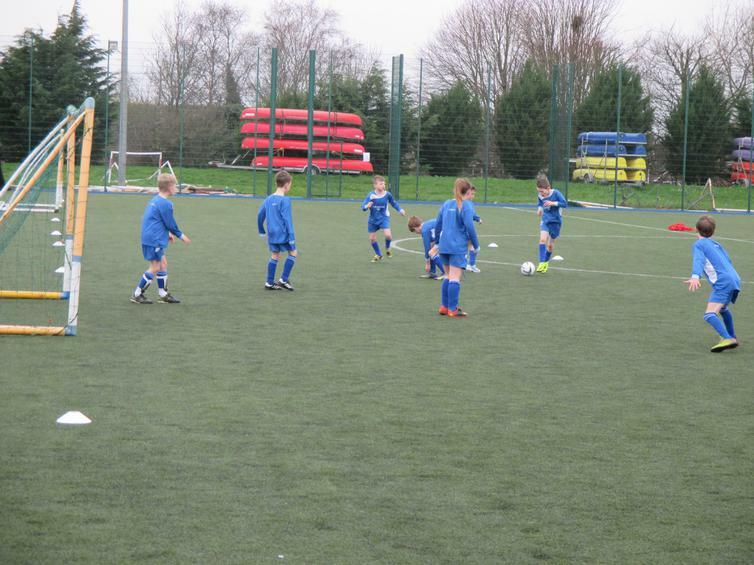 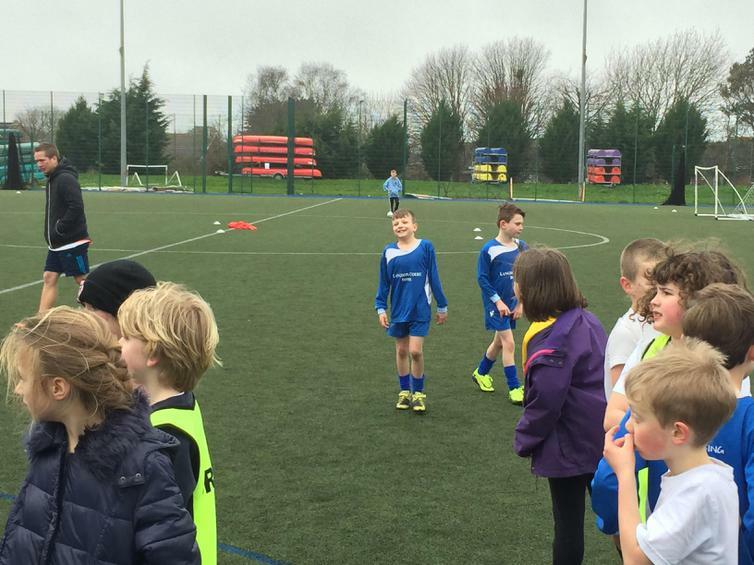 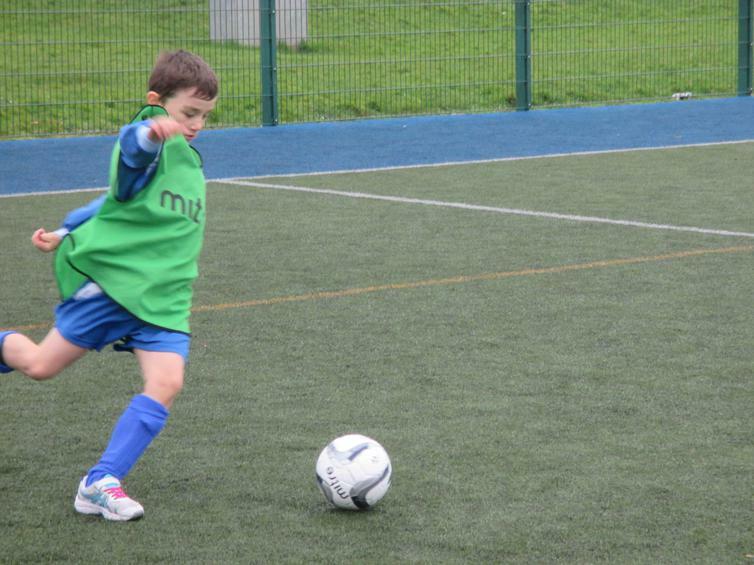 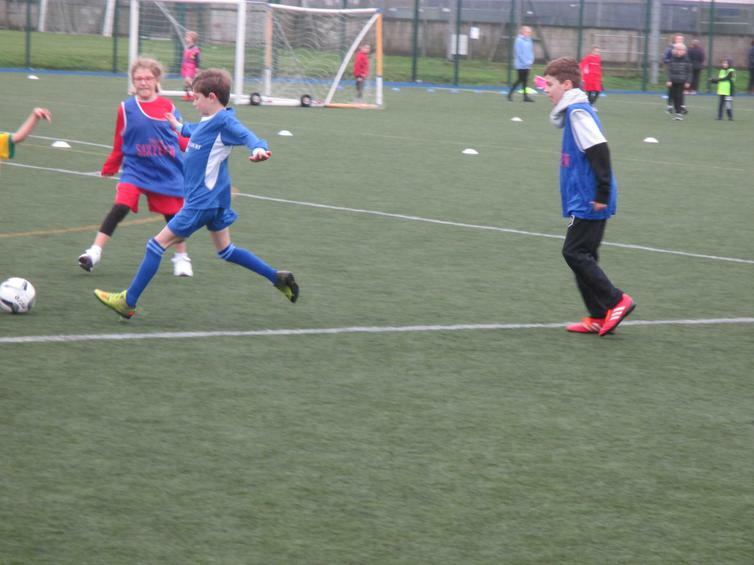 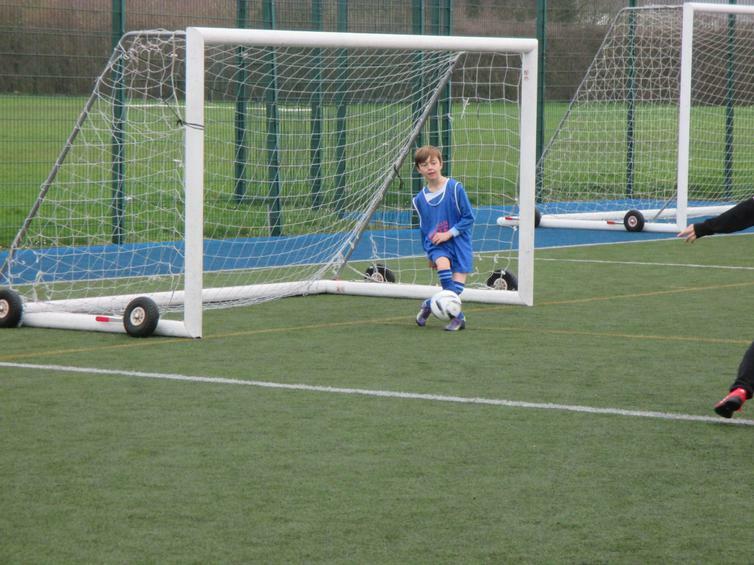 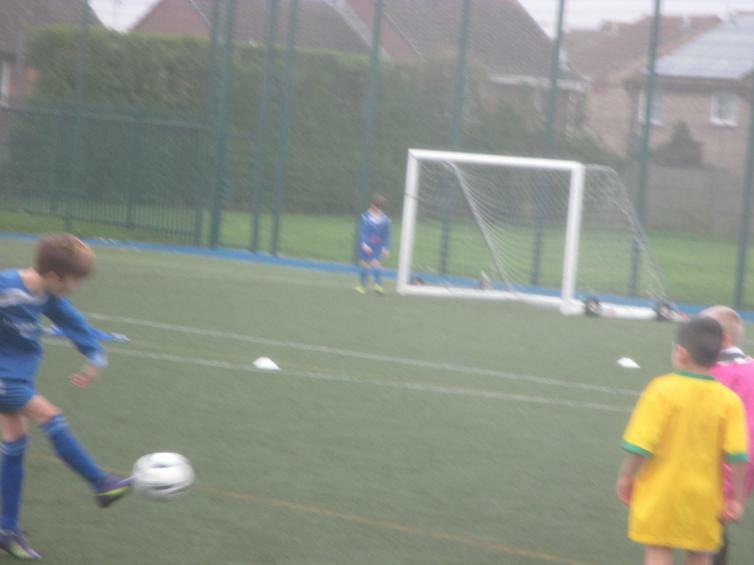 There were some fantastic young footballing skills on show, all of our children representing the school fabulously. 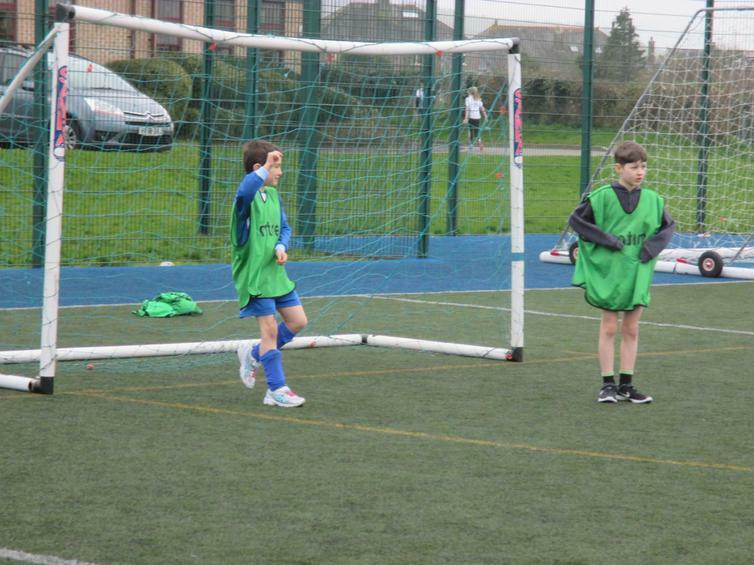 Definitely some stars of the future. 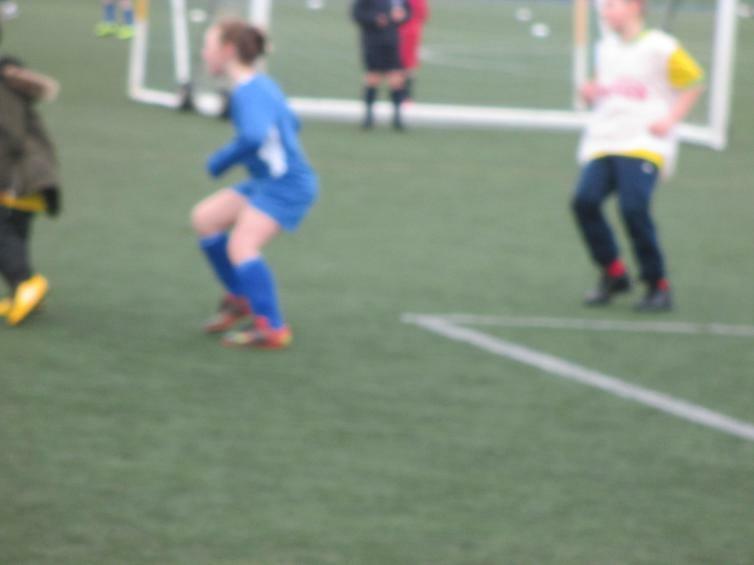 A really well organised event run by PSSP and the talanted sports leaders from Plymstock school, huge thanks to them and Gary Williams for organising.